Hammerle and Regalado celebrate their season with one of their biggest fans, Coach Marlow. Lakelands girls wrestling had a monumental year full of growth and firsts. Although the team faced its challenges, they are looking forward to seeing where next year takes them and hope to see the sport evolve at LRHS. 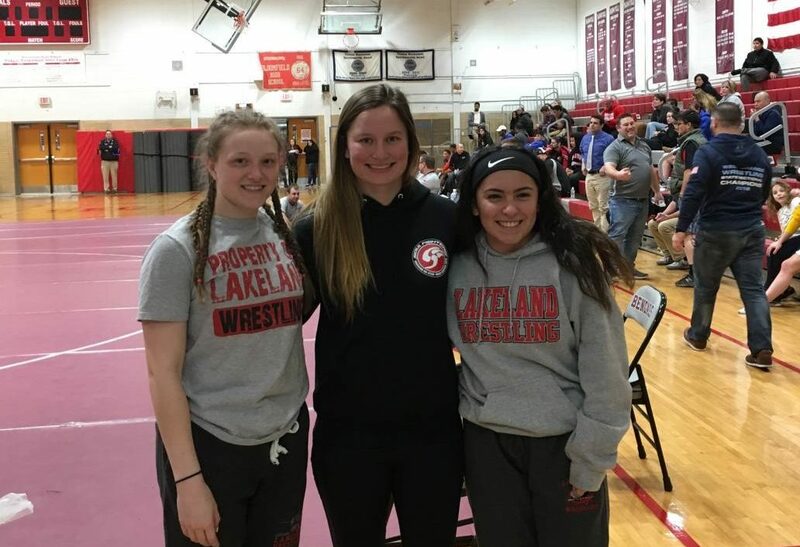 This season, the girls wrestling team, which is made up of two strong lady Lancers, participated in its first all girls tournament, the Bloomfield Holiday Wrestling Tournament, which was a state qualifying tournament. This was the first time the ladies had separate tournament, with the sport only becoming instituted in New Jersey high schools in 2018-2019. The lady Lancers supported one another throughout the season. Andrea Hammerle, senior and girls wrestling captain, placed third in the Bloomfield tournament for her weight class of 118, and Anastasia Regalado, a freshman, placed fifth in her weight class of 108. Even though they didn’t reach their goals to get to Atlantic City, where the all girls state tournament was held, getting to where they are today was no easy feat. Hammerle is happy with how she ended her wrestling career in Lakeland saying, “Although I did not place high enough in the regional tournament to qualify [for states], I thought back to just 3 years ago when I had started wrestling. 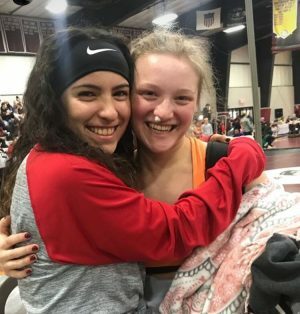 and I thought about how 3 years ago I would have never thought I would have done as well as I did.” With Hammerle graduating this year, the girls wrestling team the team will be down to one wrestler, but she is hopeful more girls will take on the challenge. Regalado also told the Lancer, ”My most challenging hurdle during the season was the beginning weeks of wrestling my body was so sore and pushed so hard, but I kept going throughout because I wanted this more than anything I’ve wanted before.” Regalado hopes her training and dedications will get her to states next year. 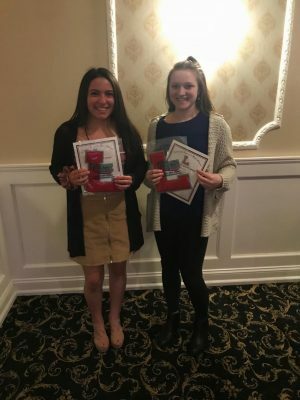 Hammerle and Regalado receive their varsity letters. Throughout the state, girls wrestling has shown its popularity rising this year with the first all girls wrestling tournament. The rise of the of the sport is clearly seen to LRHS physical education teacher and coach Louis Marlow stating,”I can tell you the girls wrestling is growing and this year was the first year girls were able to compete in girls states.” Marlow is a female wrestler and helped mentor the girls throughout the season. With the evolution of the sport, girls wrestling will hopefully see new wrestlers added to Lakeland’s roster as the years go by.